Phonepe send money offer: Transfer minimum 500 Rs to 2 different Phonepe users and you will get Upto 1000 Rs Phonepe balance. Offer is valid from 12:00 AM, 05 October 2018 to 11:59 PM, 31st October 2018. Phonepe cashback can be used to Recharge/Bill payment/Merchant payment etc and it’s 100% usable. 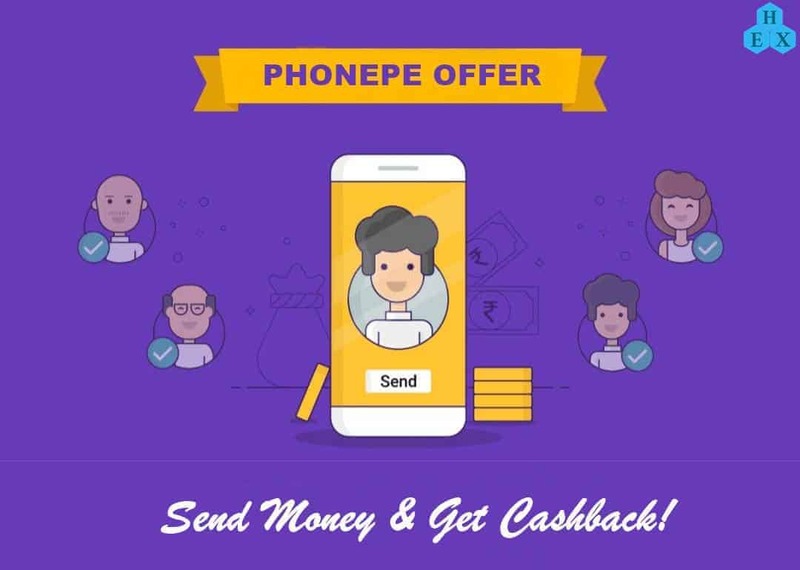 Follow these steps to avail send money offer on Phonepe. Now click on “To contact” option, available in Homepage of Phonepe App. Enter Mobile number or UPI Address of any user. Now send a minimum 500 Rs via bank account (UPI) to 2 different Phonepe users. You will get a chance to win 1000. Valid only for from 05 October to 31st October 2018. Cashback cannot be transferred to a bank account. PhonePe send money offer is eligible only for money transfer done using UPI. Not valid for money transfer made to a bank account or Non-Phonepe UPI ID user.